Do you feel stuck on a preparing for baby timeline, wondering what needs to happen next and whether you have everything in order for your little one? Are you scrambling to create a baby checklist and stressing about whether you have your home prepared? The things to do to prepare for baby arrivals can send heads spinning – but they don’t have to! Let me help you not to get bogged down by all of the stress on your preparing for baby timeline (especially when you might also be experiencing some “pregnancy brain”)! Note: This post contains affiliate links which means that if you purchase through one of my links I make a commission on your purchase – at no additional expense to you! Read my full disclosure here. Do you still need to take a prenatal class? Help yourself prepare for the physical side of welcoming your baby with a free online class taught by a labor and delivery nurse with over 10 years of experience here. Practical Baby Prep is a handbook of resources for new expecting mothers. 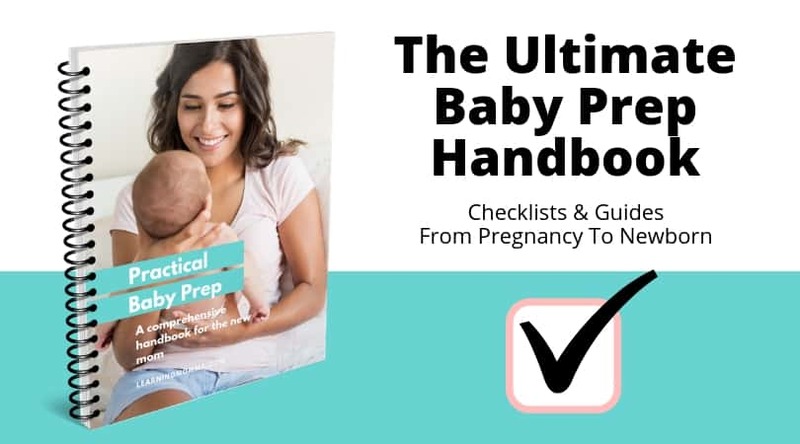 It focuses on all of the organizational overwhelm that goes into preparing for a baby – from making a baby registry to leaving the babysitter notes for your first outing away from your newborn. It is a comprehensive printable resource to help moms keep their sanity throughout pregnancy and life with a newborn – WITHOUT downloading a second trimester to do list, third trimester to do list, baby registry guide, hospital bag checklist, and researching newborn schedules. Hilary, a labor & delivery nurse with over 10 years of experience, offers a free online beginning prenatal class as well as a more comprehensive prenatal class for couples. Stacy Stewart, a certified lactation educator, offers an online breastfeeding class that walks you through all of the “how to” when it comes to feeding your baby. She also offers a course on pumping breastmilk for moms who plan to return to work after maternity leave. Welcoming a new baby into your life is absolutely a physical process, but there is also a lot of practical preparation involved to make it as smooth a process as possible. That’s where Practical Baby Prep comes in! 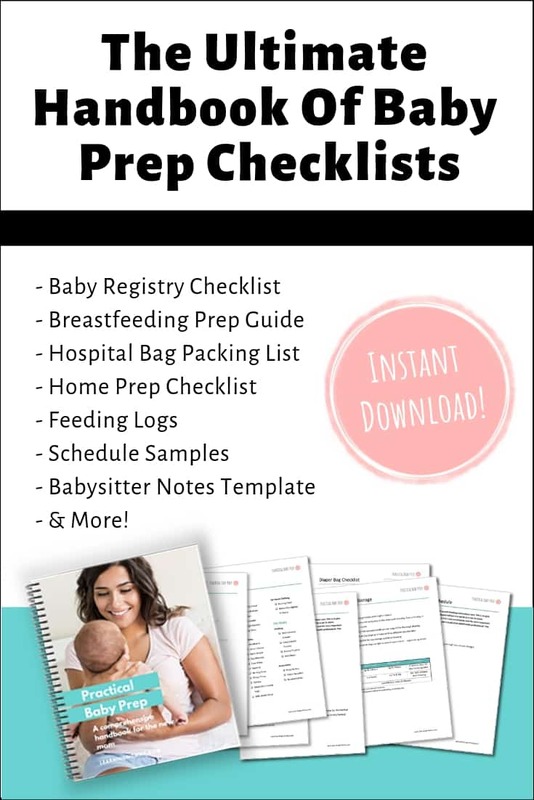 Practical Baby Prep is a downloadable collection of checklists and guides for all of the non-physical preparations before and after your new baby arrives. If the endless mental cycle of baby things to buy before birth, ways to get the house ready for your baby, and packing for your hospital stay after birth is consuming you, Practical Baby Prep can help!